Please join us to explore the Christmas Story at 3:30pm on Christmas Eve. 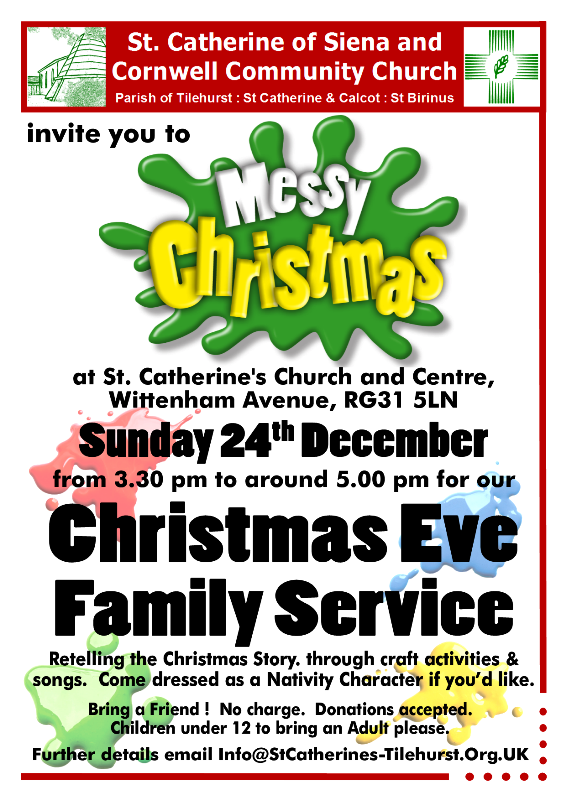 We’ll be doing it ‘Messy Church’ style through craft activities, story and song . We encourage children to come dressed as a Nativity character. Some dressing up clothes will also be available at church. A reminder that the Café is closed on Thursday 21st and Friday 22nd December. It will be open for light refreshments on the 28th & 29th. There is no Thursday Midday Prayers on Thursday 21st. It will resume on Thursday 28th. Friday Friends is taking a Christmas Break and not meeting on Friday 22nd & 29th. It will resume on January 5th. Please join us for our Carol by Candlelight service – this Sunday 17th December at 6:00pm. For all ages, followed by seasonal refreshments. Sunday 10th December is a joint service at the Cornwell Centre where we’ll join members of Cornwell Community Church. Rev Christine Bainbridge will be leading a communion service. Other services in the parish that day are an 8am service at St Catherine’s and the Carols in Calcot service in the afternoon. We hope to see you at one or more of these services. 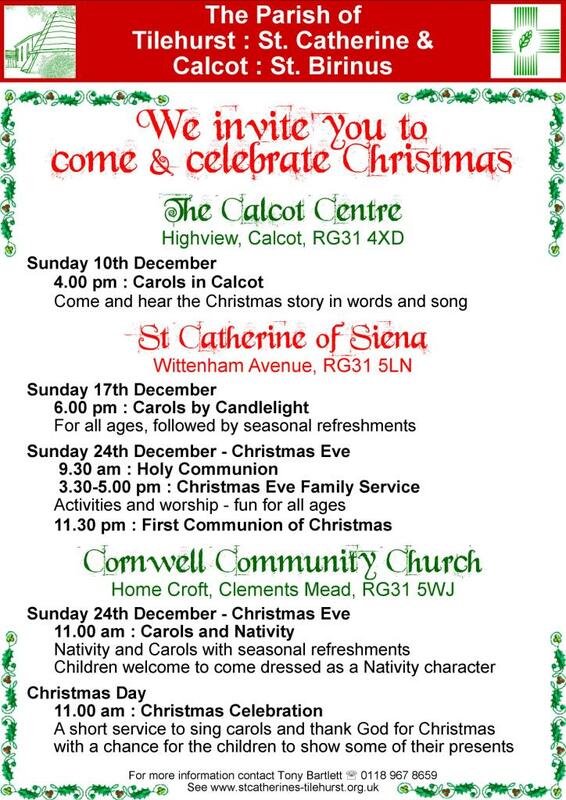 Carols in Calcot – Sunday 10th December at 4pm. The December / January issue of RG31 – our Parish Magazine – is now available on-line here, or click on the image.